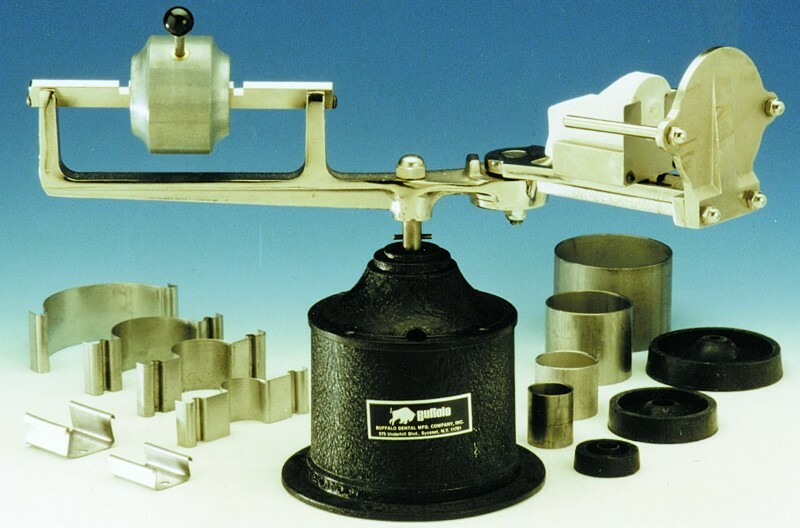 The rugged, improved, patented centrifugal casting machine with pre-calibrated balancing that helps ensure superior, dense castings every time. The rugged construction promotes safe operation and a long working life, and the positive locking crucible carrier secures type-A crucibles and prevents accidental shifting or releasing. • AccuCast Complete System includes 1 Type "A" Crucible, 4 Steel Ring Flasks (#’s 12, 17, 25, 35), 4 C radles (#’s 12A, 17A, 25A, 35A), 4 Rubber Sprue Bases (#’s 12R, 17R, 25R, 35R), 2 Flask Tongs (Small and Large), and 1 Crucible Carrier Adapter.